Hundreds of people filled Boom Island Park in Minneapolis Sunday afternoon in anticipation for a big announcement from U.S. Senator from Minnesota, Amy Klobuchar. 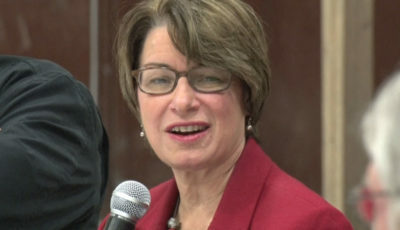 Amid the snow, Klobuchar entered the stage and announced to the crowd that she will be running for president in 2020. “I stand before you as the granddaughter of an iron ore miner, as the daughter of a teacher and a newspaper man, as the first woman elected to the United States Senate from the state of Minnesota, to announce my candidacy for president of the United States,” said Klobuchar. 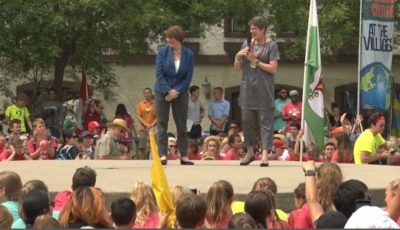 Klobuchar spoke to the crowd detailing her decision as well as topics that she will focus on throughout her campaign. Klobuchar touched on a variety of topics from gun control and healthcare to criminal justice reform. “I am not afraid to join the vast majority of Americans to stand up to the gun lobby and put universal background checks and common-sense gun legislation into law,” Klobuchar said. She touched on climate change and announced a plan to rejoin the International Climate Agreement if elected. 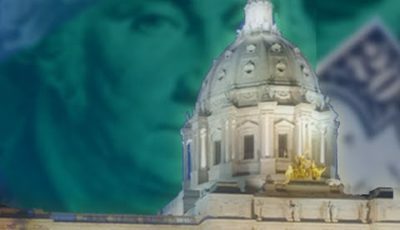 “In the first 100 days of my administration, I will reinstate the Clean Power Rules and the gas mileage standards,” Klobuchar added. 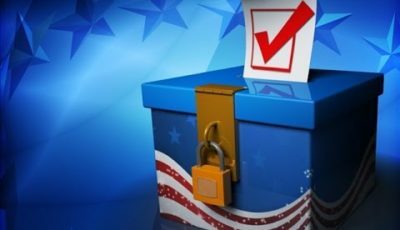 Though the 2020 presidential election is over a year away, Klobuchar joins a growing list of Democrats seeking the nomination to oppose President Donald Trump. “We are tired of the shutdowns and the showdowns, of the gridlock and the grandstanding. 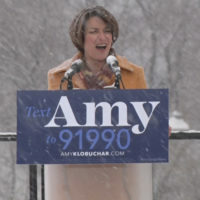 Today on this snowy day on this island, we say enough is enough,” said Klobuchar.